I've been low-carbing for little over a month now. I've made great progress on the scale. But I've made even more progress mentally. One month ago I actually contemplated giving up. My body was detoxing from carbs and I was miserable. I wanted all the sugar and I couldn't have it. And the thought crossed my mind that I should just stay fat. I mean, what was so bad about just being fat? Because I've been big my entire life it's really sort of comfortable for me. It's familiar. I'm used to it. I've grown accustomed to the aches and the pains and the uncomfortable clothes and being out of breath. These things might just be a good trade-off to be able to eat all of the wonderful sugary foods that I love. But then something within me realized that this thought process was insanity. There was no way that I could ever go back to being that person. So I stuck with it. And here I am a month later and 16 pounds lighter. My clothes fit well again and I feel great. Yesterday was a long crazy day for me. I am now working contracts before and after school for extra money. And I have a couple of side jobs that I work on weekends and evenings. AND it's softball season and my daughter plays during the weeknights. My day started at 7 AM and ended around 11 PM. And I stayed on track all day. I've said it before, and I'll say it again ordering the personal trainer food was one of the best decisions I could've ever made. 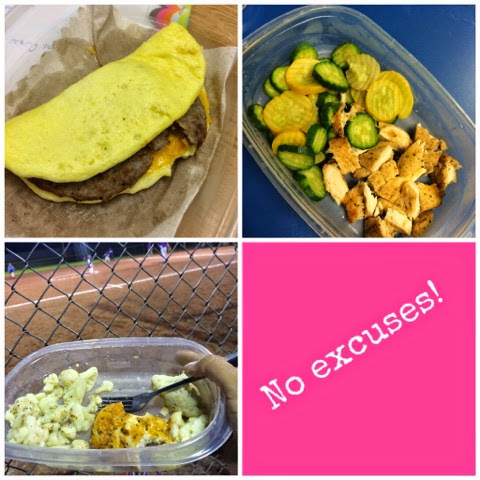 Yesterday morning it was as easy as counting out my meals, taking them out of the freezer, and putting them in my lunchbox. Also packed a plastic container and found that there was a microwave available to me everywhere I went yesterday. I ate well and I stayed on track. As I was driving home from softball last night I realize that I really have dropped my excuses. I realize that I actually want it bad enough to stay prepared and do what it takes. For the first time in a long time I actually can see myself making some progress in moving forward in this journey. Even with vacation coming up next week I know that I am in the right mindset to stay on track and stay focused. I have a plan for my food and I've talked to my coach about how to eat out if that situation comes up. I am confident that I will do well. I am expecting my second shipment of personal trainer food today. It was really a no-brainer to make the commitment for another month. I'm just not ready to lose the convenience of having all of my meals prepared for me ahead of time. I absolutely think that this plan is what is keeping me on track. My best friend is also doing the plan and she absolutely agrees with me that this was one of the best investments she has made for herself and in a long time. Today I am very grateful that I did not give up. 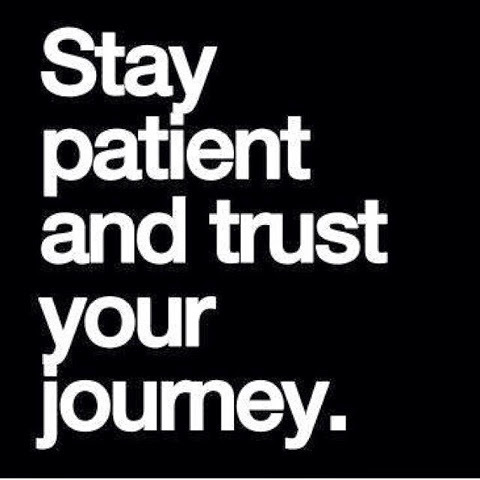 I will stay patient and I will trust this journey. Keep going, if you go back to the old way- you will get old results. If you go in the new direction, you have a chance of having a different outcome. So glad you stayed with it through the difficult first few weeks. My first week was tough but quickly got better and I soon felt so great without sugar and grains that I never even thought about them again. No more cravings! Isn't it wonderful? All the best to you! I love your blog, I came across it today. It'll definitely be something I will look to for personal inspiration! Amanda, the difference is that this food is not processed. It's lean meat and veggies... that's it. Some of the items are minimally processed (the chicken sticks) but overall it's very clean and low carb. Good article, Graphically it seems so good but to do this is very difficult for a overweight person.